For close to four decades, J.L. Taylor Company, Inc. has been delivering the best industrial and commercial electrical services to clients throughout the northeastern part of Ohio. We are distinguished for having the most energy-efficient and cost-effective electrical construction, in addition to having a remarkable team of designers, estimators, and commercial electricians. Since 1979, J.L. Taylor Company has been combining exceptional workmanship, increased knowledge and affordable prices to provide exceptional commercial electrical services to its deserving clients. It comes as no surprise that whenever Euclid clients are looking for a highly-qualified industrial electrical or commercial electrical contractor, J.L. Taylor Company is the only name they need to know. For more than three and a half decades, J.L. 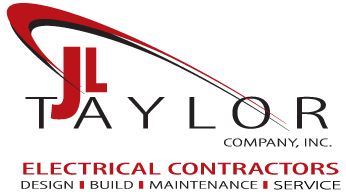 Taylor Company, Inc. has been delivering the most reliable industrial and commercial electrical services to clients throughout Northeastern Ohio. Since 1979, we have been recognized for having an exceptional team of designers, estimators, and commercial electricians engaging in the most energy-efficient and cost-effective electrical construction. J.L. Taylor Company combines quality workmanship, enhanced understanding and affordable prices to offer customers with commercial electrical services unequaled by the competition. Therefore, it makes complete sense that whenever Euclid clients are looking for the best industrial or commercial electrical contractor, J.L. Taylor Company is the only name they need to know. Euclid, Ohio has more than 48,000 residents and is in Cuyahoga County. Middlefield, home of J.L. Taylor Company, Inc., is not quite 32 miles southeast of Euclid. Our Euclid clients are well aware that not only will we strive to meet their expectations for excellence in commercial electrical services, but we will most likely surpass them. In fact, we have the reputation for offering the finest customer services, because customer satisfaction has always been our top priority and always will be.  If Euclid clients are facing commercial electric troubles, J.L. Taylor Company can help. We have the qualified industrial and commercial electricians who are renowned for handling commercial electric challenges on time and under budget. J.L. Taylor Company, Inc. has been solving problems from power issues to burned-out lamps and ballasts for decades. We also understand firsthand how important it is to optimize your structure’s energy, as well as cutting costs. We can conduct an energy audit to show you how effectively your electrical system is operating. J.L. Taylor Company’s motto is “On Time Performance Guaranteed,” and that translates into: we will ensure the job we do is done well with speed and accuracy. We have helped countless customers and would appreciate the chance to earn your business. For more information about our commercial electrical services, call J.L. Taylor Company, today, at: (440) 834-1223.